My Affinity-edited photos as seen on others' devices & a calibrated projector have come out EXTREMELY over exposed. They look fine on my monitor. I have calibrated the monitor. Someone noticed the 'profile' dropdown in the Develop persona is set my default to Adobe RGB. I was told that this should always be sRGB. I can't find a way to update the default to one of the sRGB settings permanently. I have been doing my RAW conversion in Cannon's DPP as 1) RAW files don't have thumbnails & look terrible (under exposed & under saturated) in Affinity as my camera (Canon 77D) is not yet recognised by Affinity & 2) DPP has an easy way to 'fix' under & over exposed parts of the image that Affinity can't do as well as being able to view the RAW images. I then do further processing in Affinity. It appears that I will need to go into the Develop persona & change the 'profile' value before developing & exporting the image every time. I can't provide a screen dump of the images as seen by others as they look fine on my monitor but very embarrassing showing images at my camera club . Any enlightenment would be appreciated . First let's dive into the cam specifics here. If APhoto Windows doesn't support your EOS 77D RAW yet, don't waste your time with the Develop Persona, instead use Canon's DPP or some other capable RAW converter which supports your cam and develop the RAW images there. 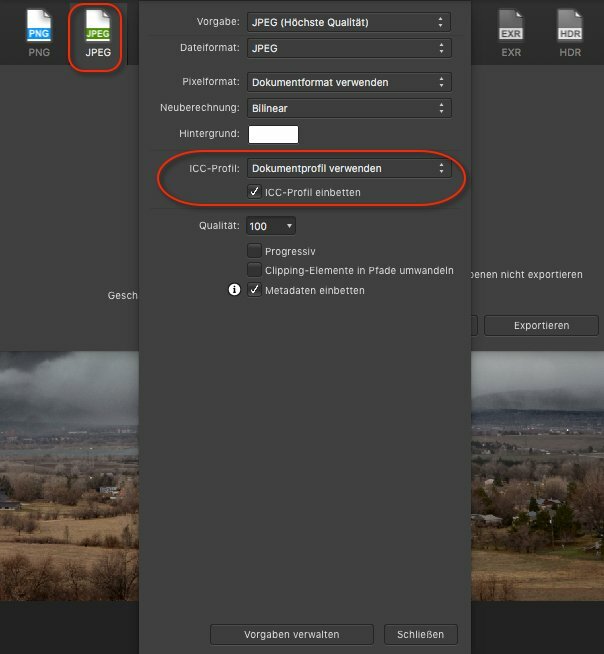 Save the in the third party RAW converter developed RAW images to JPG or TIFF and load those images then into APhoto's Photo Persona for further image tweaking and manipulation. Well for color it all depends on certain color management related settings and handling here. With what did you calibrated your monitor, with a calibration device which hopefully generates correct ICC profiles or instead via an eye sense of proportion approach? Next what color space does that calibrated projector support (sRGB or the wider gamut Adobe RGB)? However, if you want to be on the more secure side, check if your monitor calibration is indeed accurate, also for images when in doubt use the commonly used default sRGB as document/image profile and see if that makes a difference for other display devices than your monitor here. And better work in APhoto's Photo Persona instead with any loaded in JPG/TIFF images then. Thanks V for your time in replying. The monitor was calibrated with a device - a ColorMunki. I don't think that there was an issue with the monitor actually. Yes, ICC profile created. I'm not sure what the calibrator supports, but the profile I created was an sRGB one. We did some tests & photos saved with any of the sRGB profiles were ok. The only photos affected were ones I had played with in Affinity. The DPP JPG ones were fine. (This is all per a photography friend looking at my photos on his devices). Affinity must do 'something' when the jpgs are exported. Only images that come into Affinity (as jpgs from DPP) & are exported out again are affected. The images are very light & bright. Why would it make a difference if I use the Develop persona as well as the Photo one? Sometimes there are some nice sharpening & gradient tools I like to use, extraneous to the RAW development (which I've abandoned anyway). The monitor was calibrated with a device - a ColorMunki. Those should measure colors/lightning accurate and also generate correct icc profiles, so we can exclude your monitor calibration here since it will be Ok.
...but for documents they can be altered/changed via the Document's menu entries Document -> Assign ICC profile or Document -> Convert ICC profile on demand. ... there you can tell to export with the ICC-profile used for the document (taken over from that) or assign a different one, you can also enable to embbed the ICC-profile into the JPG-image or not. 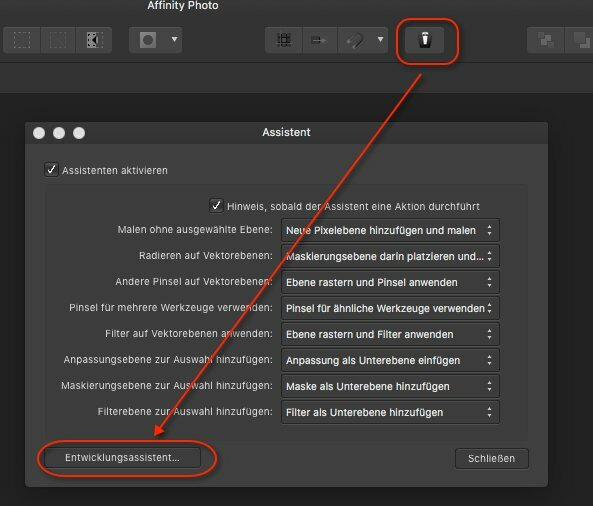 - You might want to check the settings there (related to the ICC-profile), if maybe something has been setup different from the defaults, which in turn would effect the look and colors of the exported JPG then. If you just deal with Non-RAW files there (JPG/TIFF) in the Develop persona it's Ok, just don't load in or develop your 77D RAWs there until APh correctly supports this. Thanks so much V for all the effort you've put in to trying to help me. I wanted to have a bit of a play around before replying to you. I have been able to use the 'document' drop down to change the setting before then exporting. I'd really like a way to have the sRGB version from the calibration as the default rather than having to change it every time. I'm looking at an image that's been through DPP & it's set to Adobe RGB in AP. I'll now look at a RAW image straight into AP.....mmm.....interesting. I opened the file then developed it & it's come up as the calibrated version???? That's obviously not something I would normally due as AP doesn't have my camera registered so the photos need a lot of work (under exposed etc). I wonder if it's something DPP is doing? When saving a JPG file, there's a box (ticked by default) that is 'embedded ICC profile'. I tried saving a JPG image with the box ticked AND unticked & both brought it to AP with Adobe RGB. I'm not sure what would best work? I will now change the top one to sRGB & the bottom one to the monitor profile whereupon I can then use the calibrated value. I have now saved the image with both the embedded ICC profile ticked & unticked. Bizarrely both of these version have come into AP with Adobe RGB in their description where yours is sRGB. Hi Julie, it might depend on certain settings and the way software like DPP behaves here. Note however that I'm a Nikonian and thus don't use or know DPP software internals at all here, thus speculating here. If your Canon camera/lens combo and it's RAW format are supported by the AP RAW engine, or the MacOS build in RAW converter instead (since you can switch between these two RAW engines to use for the AP Mac version), you could develop/process your Canon RAW files also in AP instead of DPP. Note however that AP's RAW engine as default doesn't apply any exposer, contrast and sharpening etc. settings, thus things look initially more dull and neutral there. You would have to make some own adjustments for these in AP to get the image look DPP gives you as default here. But you can make adjustments and save these as a preset in AP for later reusage. It might be that in DPP for it's color management settings, the working color space setting is meant to be only for inside the DPP app usage and not for assigning/embedding a profile when exporting an image. There is a (*) as a note beside what does this tell? I assume that the settings you showed there only do affect the DPP application itself, which color space (thus maybe named "working color space") it should use itself for showing up and working/developing images in. But this might not have any effect on exporting an image from DPP and it's exporting/save settings for applying an icc profile to JPG/TIFF images is somewhere else to setup. 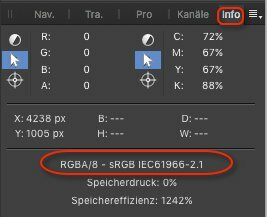 Since if it always saves images with an embedded Adobe RGB profile there must be another setting which influences the way in DPP developed RAW images are exported (aka which setup icc profile to embedd then). In AP when an image with an embedded icc profile is loaded, AP shows that image up with that associated color space. If an image doesn't have or come along with any embedded icc profile, then AP associates sRGB as the default to use color space profile here. - In my case the image used didn't had any embedded profile, so AP associated the sRGB profile as default to it when I loaded that image. BTW, AFAI have seen you have always to restart DPP when you are changing the working color space setting, otherwise it won't take it into effect. So if you have set it up to Adobe RGB and change the setting to sRGB, but don't close and reopen DPP afterwards, the change/effect won't be applied. DPP is not performing live running changes for certain changed settings here! And in the meantime I saw on a Canon video, that DPP takes the setting from it's color management panel (default work color space) and applies that to saved images, as far as when saving the embedd with icc profile is ticked on the save panel. Though as said above you have to restart DPP when you make color management panel changes, otherwise those might not take in effect. Well I rebooted DPP (really poor not to have done that already - sorry). At least it's sRGB but not quite sure what flavour it is........anyway, good to know that I think I'm better off now, thanks to your suggestions! If you are using AP under "MacOS High Sierra" (?) 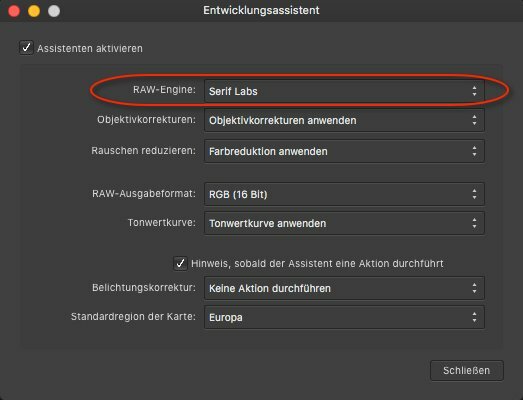 or newer, you can switch the RAW engine in AP then, since the Canon EOS 77D is supported since MacOS High Sierra. ... change the Serif one to the Apple one there! - And restart AP afterwards! Alas I use Windows..........but can follow your instructions WHEN the Windows version is updated! Danke sehr! I'm sorry the Windows version of AP doesn't offer to use another alternate RAW engine here, that's only the case for the Mac version. Your above shown DPP settings panel looked to be for MacOS (Apple RGB, ColorMatch RGB) thus I thought you maybe use a Mac version. - Daher tut mir leid, dann hast Du momentan leider keine Chance und musst wohl oder übel auf ein AP Update warten welches dann hoffentlich Deine Kamera unterstützt! Yipppe, I just checked out the list of cameras for the much anticipated 1.7 upgrade & it's there! I don't think I'll bother with the Beta version as the REAL one should be soon. I have been exporting my photos using the generated ICC profile & I think I seem ok.